There are also discreet sets of material within an institution related to a particular project or office that is no longer in operation. This material is easier to bookend with a beginning and an end, but often comes to the archives in batches over a period of time. Such is the case with the records of the Board of Governors, an institutional body charged with the management of the University Hospitals from 1975-1996. In October 2006 I discussed the acquisition of an almost complete run of the BoG minutes. I then identified an existing collection of BoG material already located at University Archives. 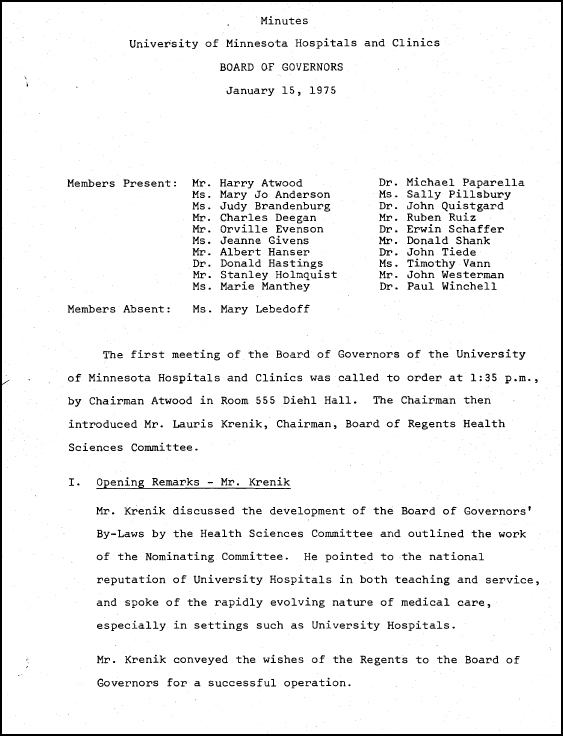 A year later, my good friends at the Wangensteen Historical Library opened up a locked filing cabinet and discovered nearly 12 boxes worth of additional material related to the Board of Governors’ activities. For an institutional body that ceased to exist almost 12 years ago, the BoG had the ability to generate records faster than I could collect them. 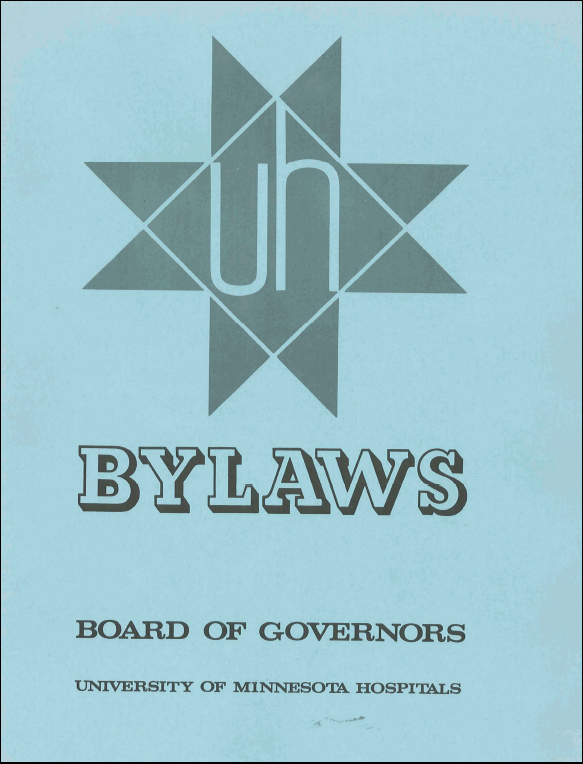 Now, with the assistance of University Archives, all sets of material related to the Board of Governors are being organized as a single collection that will be available for research and administrative use. Are you an Excel guru? Or, does the sight of that little green X make you shudder? Either way, I thought you might like to take a look at a few examples of how it was done not so long ago when computing power equaled an adding machine and the flare of a graph was limited only by a straight ruler and your selection of colored pencils. A reader sent in the following photograph in an effort to help identify unique and obscure locations within the Academic Health Center. 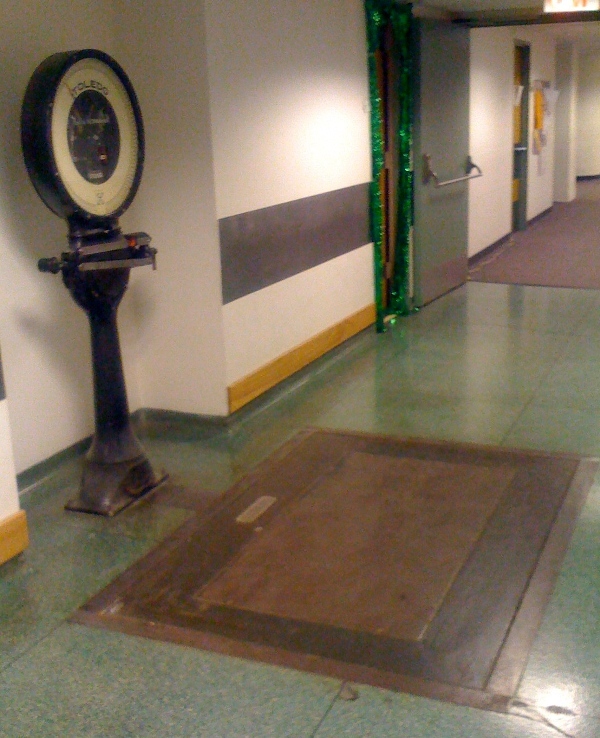 The scale is an 850 kg capacity flat scale (also known as a platform scale) located in the A (north) wing on the fourth floor of the Mayo Memorial Building. It was manufactured by the Toledo Scale Company with its motto, “No Springs, Honest Weight,” printed on the back of the lollipop scale. The scale’s design used a pendulum weight rather than a spring for measurement. The model number indicates it might have been manufactured in 1921, thirty-three years before the dedication of the Mayo Building. At the time of the Mayo’s opening, the fourth floor was designated as the Department of Surgery including space for operating rooms, recovery rooms, and patient rooms. This type of flat scale is used to record weights of patients (minus the bed or wheelchair) in intensive care or surgical recovery. The scale’s platform was built into the floor and offered a seamless surface in order to role a wheelchair or gurney onto the scale. The scale is no longer operational. The platform is fixed in place. 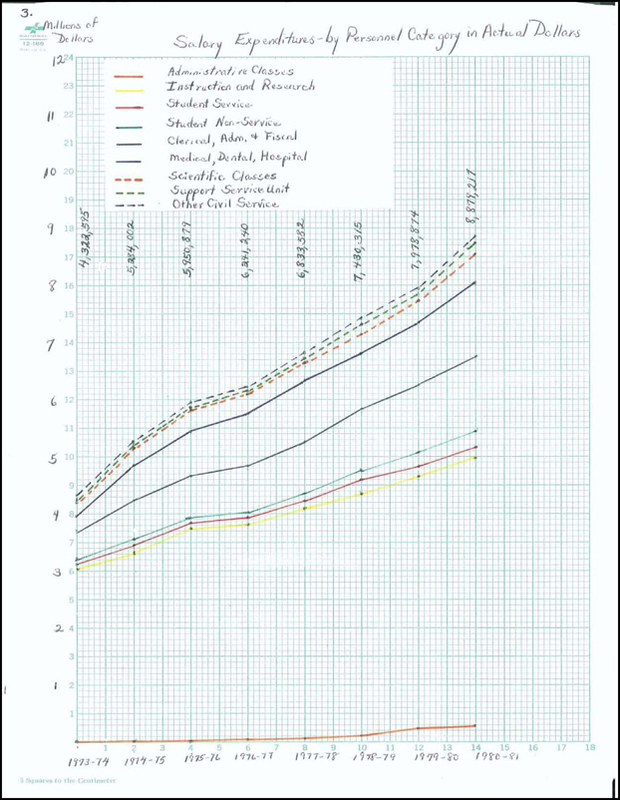 A few unanswered questions remain: Why was a possibly thirty year old scale installed in a new facility and was the scale in use in the University Hospitals prior to its placement in Mayo? 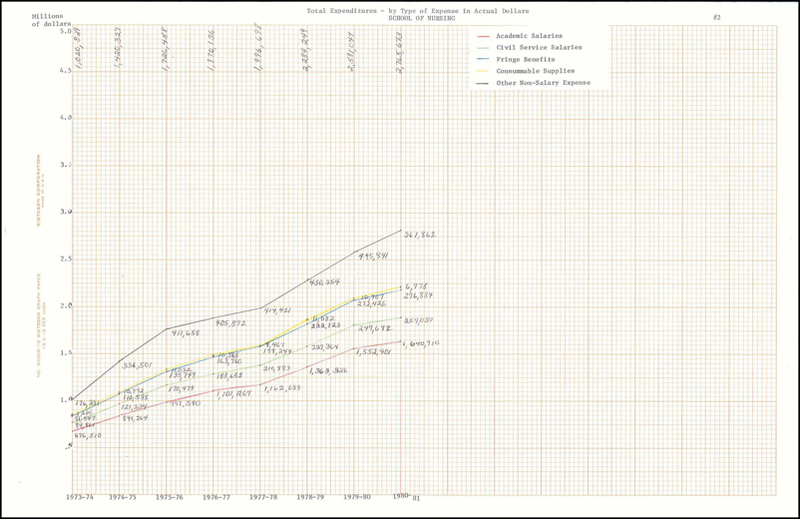 Did the scale serve some other purpose over the years before being disabled? If you witnessed the use of the scale or used the scale yourself your input would be appreciated in the comments below. After all, history is a matter of weighing perceived facts counter balanced by interpretation and local knowledge.